Emily and Javier’s wedding was held at Summergrove Estate in a day of luxurious, old-world glamour. The couple’s intimate ceremony was held in the gorgeous chapel overlooking the rolling green mountains. 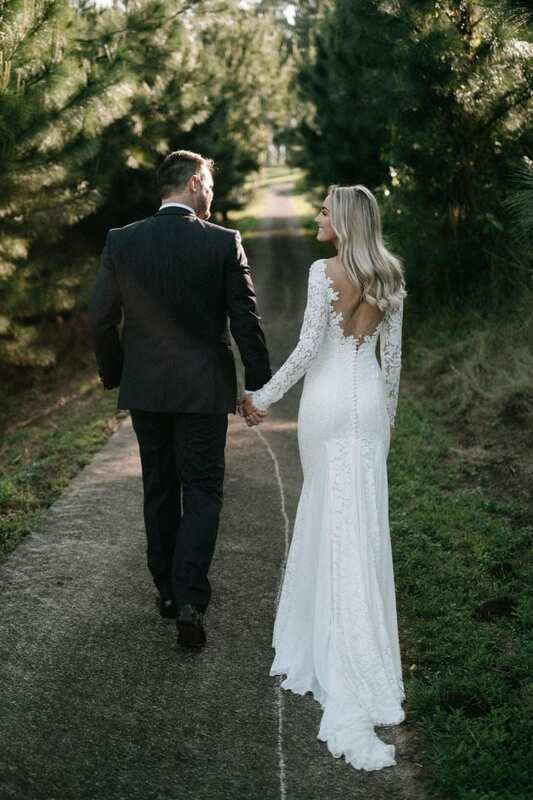 The beautiful bride wore Chanda by Pronovias like it was made just for her! “The thing I loved most about my gown was the lace and the finer details around the neckline and wrists. The way it flowed along the ground seamlessly”. Emily opted for soft wavy hair adorned with a long raw edge veil – a perfect match for a full lace gown like Chanda.